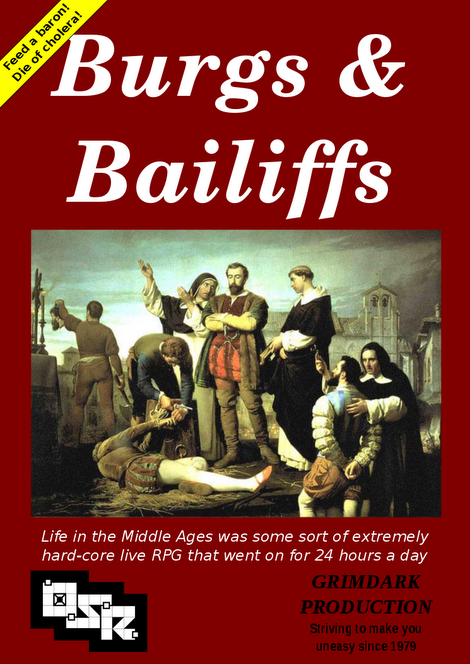 [Free PDF] Burgs & Bailiffs: Warfare too! Burgs & Bailiffs 2 is done. So, click on the image and get the cover, get the pdf here, or buy it on lulu for very cheap. Featuring 38 pages of pure carnage and violence. You know you want to. Update: the always awesome Charles Taylor wrote a super-easy spreadsheet implementing the maths in his castle construction article. The spreadsheet is here, you must make a copy to change it. Grab the first issue here, print version on lulu. The third issue of Burgs & Bailiffs should come out in January. send an email soonish at tsojcanth at gmail dawt com with a generic idea for the article. send a rough draft, possibly before November. send the finished article, possibly before December. The plan, if all goes the right way, is to make the third issue a bit bigger and better, start to charge a bit more than cost and send physical copies to contributors. If all goes the right way means, and there should be no need to explain it, SAVE OR DIE. 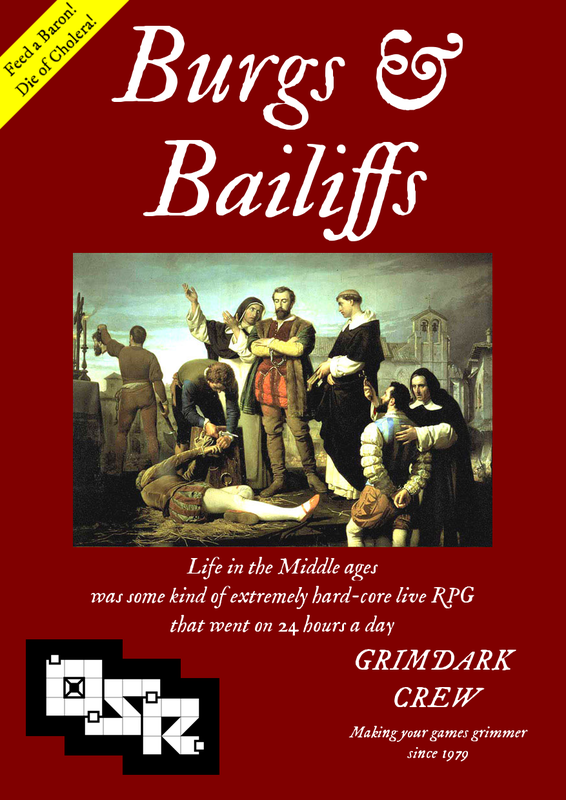 Burgs and Bailiffs: Warfare too! Call for Articles! If you want to collaborate write an idea for an article either in the comments or at tsojcanth AT googlemail dawt com or in the comment or on Google Plus here. The very rough deadline for article ideas is March 25th and for the first draft is April 22nd. And we are super-easy with deadlines, so if you feel pressured but still want to contribute drop me a line and we’ll arrange something. 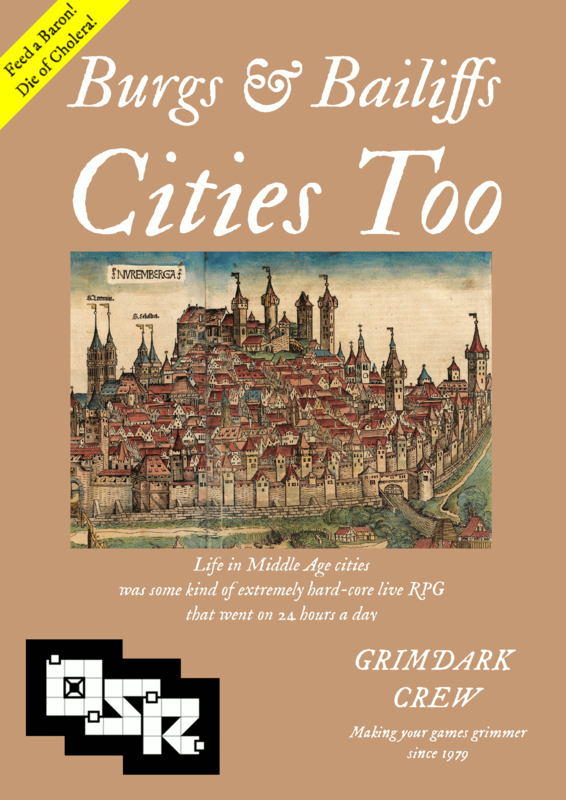 Burgs & Bailiffs: Cities/Warfare Too! Call for Articles! The first Burgs & Bailiffs was a good attempt. People liked it, you can buy it on Lulu for very very cheap and was downloaded by a fair amount of fine nobles, burgers and villeins. 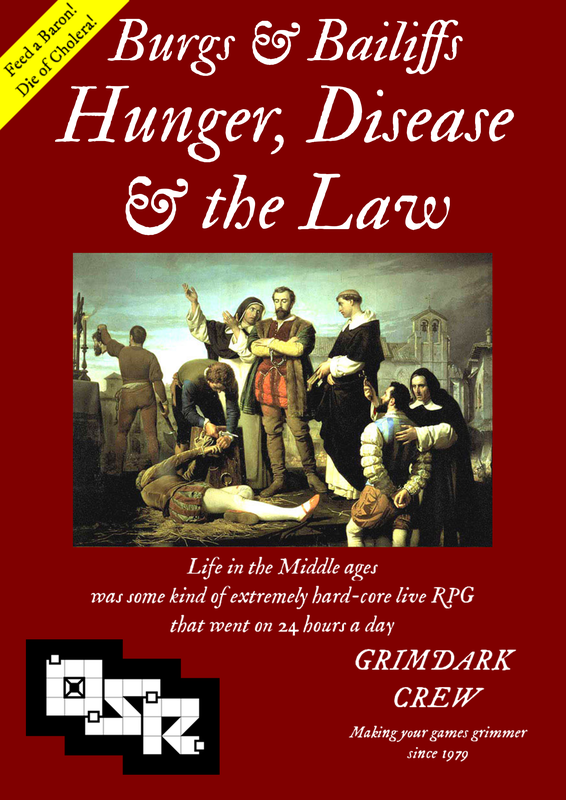 Since the Grimdark Crew can’t stop churning out new and exciting material to enhance the historical verisimilitude of the toils, pain and suffering of your PCs. And therefore your grimacing and fun. The possible (broad) themes for the second issue are Cities and is Warfare. 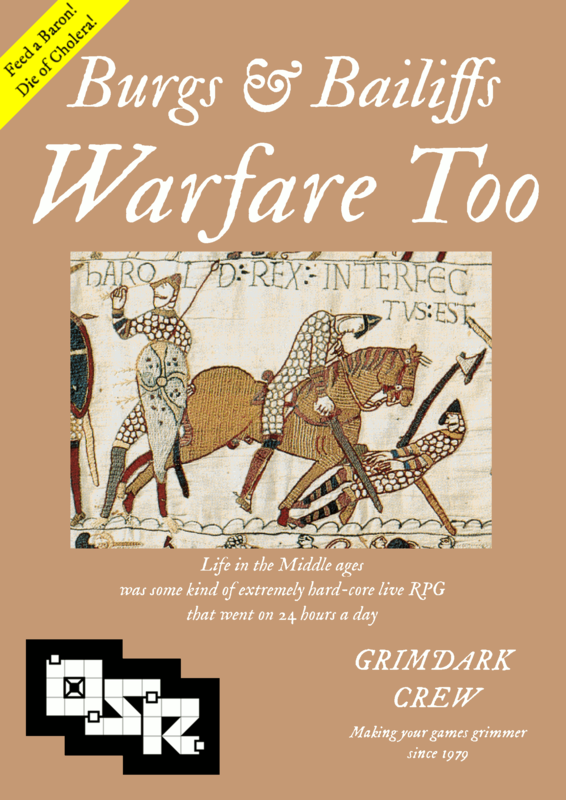 Feel free to write on any medieval topic though, as long as it’s related to RPGs. Here are the mockups. Yes, the one on the right is a period comic depicting king Harold dying like a chump. So, if you want to collaborate write an idea for an article either in the comments or at tsojcanth AT googlemail dawt com. The very rough deadline for article ideas is March 25th and for the first draft is April 22nd. And we are super-easy with deadlines, so if you feel pressured but still want to contribute drop me a line and we’ll arrange something. Oh, the first issue got a new cover! Work on Burgs & Bailiffs continues. Typesetting is done and the articles has been sent around for what passes as peer review. It’s not peer review, but I’d rather have more negative feedback on those articles rather than publishing utter BS. I know it seems that Mike Monaco wrote most of it. Mike is, in fact, the author of almost half of the page count. Burgs & Bailiffs should be done before the end of November and released as a free PDF, a softcover available at cost through POD.